‘Smart’ Meters – Should We All Opt Out? In this program we will clearly explain the harm of the new meters and why, even if you do pay so called “opt-out fees”, you will still experience most of that harm. The “remedy” now offered by DTE with MPSC approval, is an “opt-out plan” that is no remedy at all. You will be asked to pay substantial extra fees in order to have a smart meter with the radio turned off. Rep Tom McMillin has introduced legislation to restore justice to homeowners. Many are discovering that new electronic meters with no radio (or radio turned off) are also making some utility customers severely ill and posing a long run health threat to all the rest of us. The consensus is that, of meters now on market, only the analog meter is safe! Learn more at this free public meeting: Sunday December 15th, 1:30 pm – 4:30 pm, Clinton-Macomb Main Library, 40900 Romeo Plank Rd (at Canal St) Clinton Twp, MI. 1:30 pm to 4:30 pm. 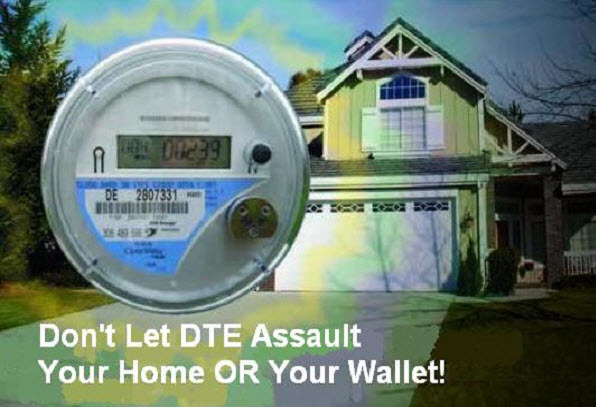 Speaker: David Sheldon – President, Michigan Stop Smart Meters. David brings not only a technical knowledge of how the new meters work but also knowledge of all the legal battles that are going on around the state on this issue. Free admission. Light refreshments. Question and answer period. Count me in, I will be there.